A week after its publication, Jenny Hayward-Jones’ forensic and provocative Lowy paper Australia’s costly investment in Solomon Islands: the lessons of RAMSI has been widely reported but hardly stirred a peep from commentators I expected to leap to the mission’s defence. 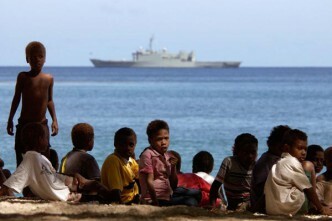 That’s a pity since Solomon Islands is approaching a critical period and RAMSI holds important lessons as the Australian government works through precisely what ‘better aligning our trade, aid and diplomacy to promote regional peace and prosperity’ means in practice. 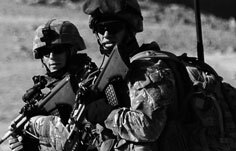 Jenny’s analysis of Australia’s $2.643 billion spent on RAMSI from 2003-13 (two servicemen also died) leads her to conclude the price of success has been excessive. Notwithstanding its achievements, she assesses RAMSI’s lack of an exit strategy led to ‘mission drift’. She argues that our interests in the Solomons were insufficient to justify RAMSI’s cost and length; that the mission transformed Solomon Islands into one of the world’s most aid-dependent countries; that we must avoid building parallel bureaucracies while working with regional partners in future missions; and that we should’ve tried harder from the outset to promote genuine political change. As a result, our investment in regional stability and development—initially good—became ‘much more questionable’. Our national interests in the stability of nearby countries, however, are far from limited. True, the risks of organised criminals or terrorists setting-up in the Solomons were probably overstated in the post 9-11 / Bali-bombings atmosphere preceding the invasion of Iraq. But avoiding ungoverned spaces, or the possibility that others might intervene across our direct approaches, are enduring requirements. We rebuffed pleas to rescue Solomons for four years, during which 250 people were killed, so intervening was discretionary. 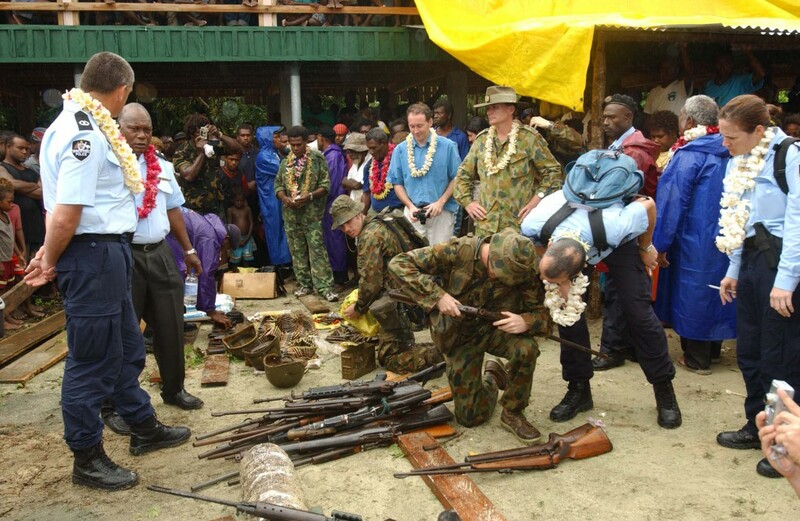 Still, although our interests in Solomon Islands before the conflict were ‘similar to our stake in Vanuatu’, that changed once acute violence arose. Reputational and other interests were also engaged once we’d gone in. The decision by John Howard and Alexander Downer to act against official advice ‘with a spirit of state-building until the job was done, without any exit timetable’ reflected their conviction that there’s no exit strategy from our own region and that it’s worth paying some premium for regional leadership. 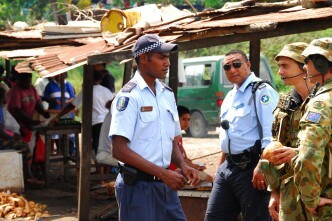 The ‘only thing all assessors agree on’ when evaluating RAMSI is that getting the guns off the streets of Honiara, Malaita and Guadalcanal was essential and well done. Yet it’s unlikely stabilisation would’ve been nearly as quick or durable without the prospect things would get better under a longer-term state-building program. Even in the security realm, the unanticipated flare-up of serious violence in 2006 reinforced anxieties, long after calm returned, about drawing-down the security force precipitously. Jenny’s revelation that the security pillar accounted for 83% of the cost of RAMSI suggests less ambitious state-building pillars would’ve yielded only limited savings. A key concern from the outset that RAMSI would create dependency, weaken the impetus for Solomons leaders to address challenges themselves, and introduce perverse incentives that entrench dysfunction, has been partly borne out—as seen in aid’s continuing importance to Honiara’s budget. But is that a valid criterion by which to judge RAMSI? Tobias Haque, among others, argues economic self-sufficiency ‘is not a useful goal’ given the Solomons’ immutable economic geography as a small and isolated market recovering from collapse. Dependency doesn’t diminish RAMSI but demands further innovation. RAMSI established some unnecessary, duplicative administrative mechanisms that probably weakened Solomon Islands Government processes, and it missed opportunities to promote real political change. RAMSI’s state-building focused on rebuilding broken institutions via technocratic efforts to create economic and governance conditions conducive to growth. But its social licence to do so was built on an understanding—partly tacit, partly reflecting RAMSI’s mandate—that the mission wouldn’t interfere too much with unsustainable logging or associated localised, money politics. If harvestable logs were inexhaustible, continuing that approach might be logical to buy time for the country’s political settlement to bed-down. But a crunch is approaching—logging’s contribution to the economy decreases about 8% per year, and income from mining will only slowly replace this, if it can at all. Mining can’t take logging’s place at the heart of the patronage state. Mining revenue will be more narrowly spread, obliging elites to scramble for new spoils, and introducing a fresh wave of social tensions Solomon Islanders have limited experience managing successfully. True, those disruptive effects might lead to good as well as ill, forcing a break with corrupt practices. But the World Bank and others warn we should ‘expect turbulence’ either way, as pressure on local patronage networks was a key ‘driver of conflict’ when logging cash dried up during the Asian Financial Crisis before the 1998-2003 troubles. Australia retains both the motive and the capacity to promote positive Solomons responses to that political and economic transition. Honiara’s election preparations and response to last month’s floods (including unrest by residents of some evacuation centres and nearby settlements) show traditional capability-building efforts are still useful. Scholars are also designing innovative approaches to economic, migration, aid, land and other challenges likely to be intensified by the end of logging. Any successes will be relevant to fostering peace and prosperity both in and beyond the Solomons. Karl Claxton is an analyst at ASPI. Image courtesy of the Department of Defence.